This in 2009 completely renovated 3 - storey building with elevator offers warmly decorated rooms and apartments . 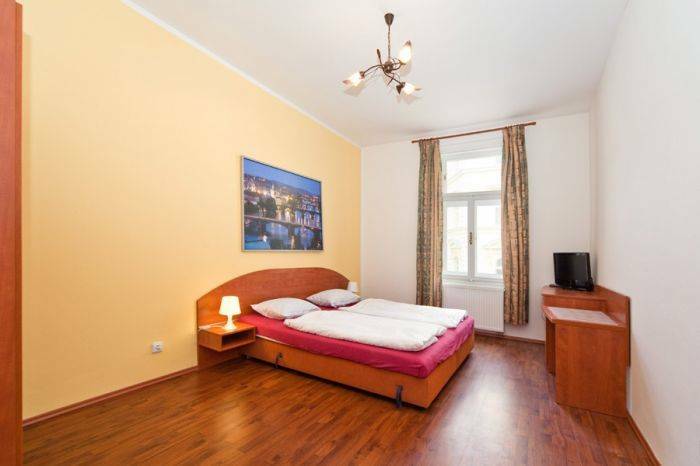 This beautiful accommodation is located in the city center , between two large parks Stromovka and Letna Gardens , with good connections to public transport stops. The nearest tram stop is only 50 m away and the metro ( C ) is reachable in 5 minutes by foot . 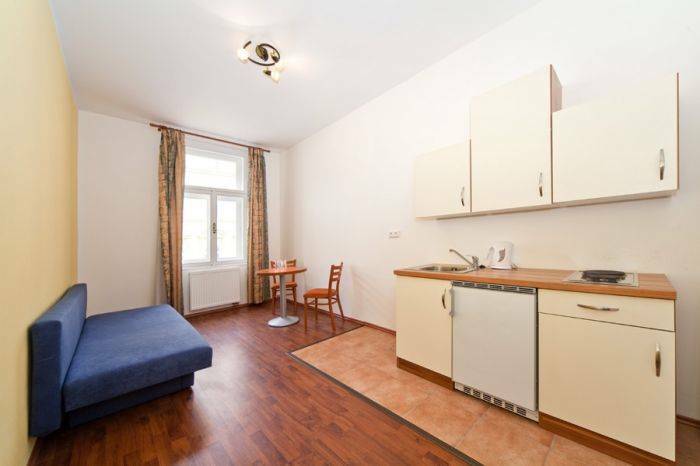 This comfortable accommodation offers the ideal accommodation close to the sights of Prague . Bright and spacious suites will delight bedroom with double bed , living room with fully equipped kitchenette with refrigerator and cooking utensils to prepare food and eat. After an eventful day you can do in the apartment for 3 people convenience on a folding seat , which also serves as the third sleepers . 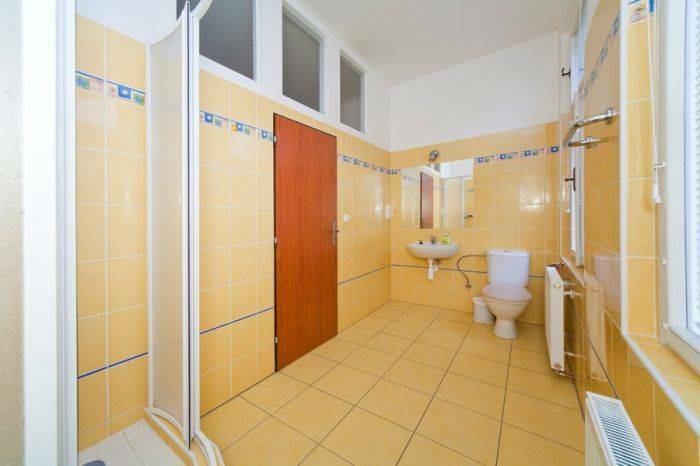 Start the day in the spacious bathroom with shower and toilet. The modern rooms offer living in the attic bedroom with double bed, bathroom with shower and toilet. Throughout access is available to you free Wi - Fi access and breakfast is included in the price. The advantage is well connected by public transport. The tram stop is only 50 m away and the metro (C) is reachable in 5 minutes walk. In the area surrounding the area full of restaurants, cafes, shops, services and sights. All major sights are easily reached by walking. Bottom line is this is an excellent accommodation in a great location at an affordable price. 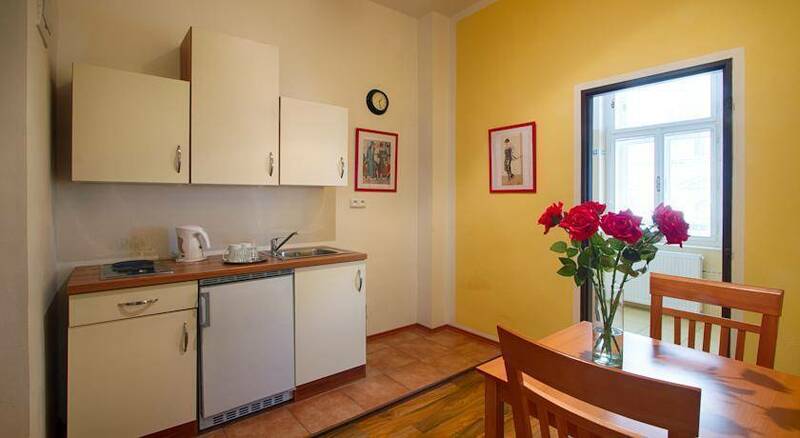 Apartments and Double Rooms are comfortable and modern furnishings and offer excellent services: Bed linen, towels, toilet accessories, internet, cleaning, all taxes and breakfast are included in the price. In the immediate vicinity you will find several restaurants, cafes, bars, shops, ATMs, as well as many cultural monuments. A 20-minute stroll through prez Letna Park with spectacular panoramic views are in the historical center, where you can admire the sights, including the Old Town Square, the National Museum and Wenceslas Square.